Vijayawada city is under the spell of Lord Ganesh with almost all residential colonies, street corners and lanes erecting pandals and installing idols of the god in all sizes. Permission has been given to, around 1,450 pandals in Vijayawada. 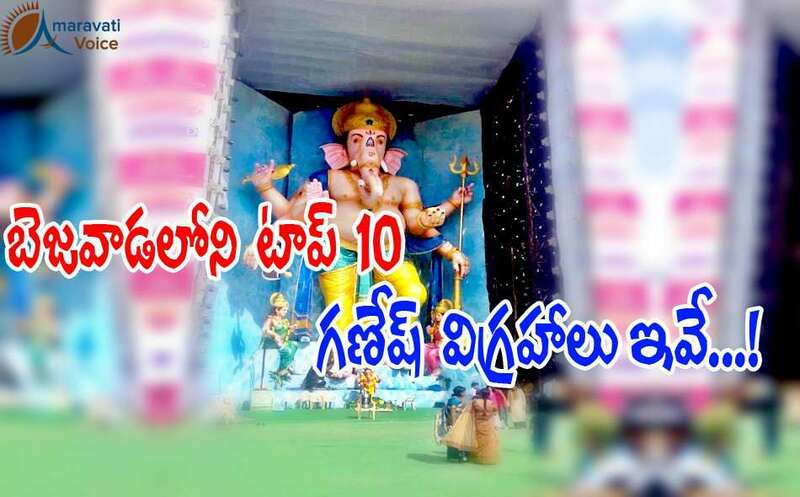 With the tallest 72-ft eco-friendly Siddhi Buddhi Sametha Kailasa Ganapati idol by Doondi Ganesh Seva Samithi at Ghantasala Music College grounds, here are the top Temples and Pandals in Vijayawada. I agree with you, Hope Amaravathi Voice will soon recognize that.